Registration for 2019 camps opens in January. Click here to sign up for a registration reminder e-mail. Time: Tuesday to Friday, 9 a.m. to 3:30 p.m. with drop-off beginning at 8:45 a.m.
Extended Care: Tuesday to Thursday, 3:30 to 5 p.m. $40/week. Please note that you must register separately for Extended Care. Time: Monday to Friday, 9 a.m. to 3:30 p.m. with drop-off beginning at 8:45 a.m.
Extended Care: Monday to Thursday, 3:30 to 5 p.m. $40/week. Extended Care: Extended care is not available for this age group. Time: Monday to Saturday, 9 a.m. to 4 p.m.
Chris Thorborrow is a composer of concert music, film score and opera. His music has been described as "complex and clear, with subtle playfulness," and has received a number of awards including the Karen Kieser Prize in Canadian Music, multiple SOCAN Awards for Young Audio Visual Composers, and the Toronto Emerging Composers Award Honourable Mention. He is the founder of the Toy Piano Composers collective, and he has been commissioned by Ensemble Paramirabo, Musica Reflecta, ArrayEnsemble, the Bicycle Opera Project, Thin Edge, and Tapestry Opera. The films he has scored have screened internationally, including at the Cannes Festival, Toronto International Film Festival and Clermont-Ferrand. Sonja Rainey is a Dora Award-nominated set and costume designer as well as a community-based artist. She has designed for theatre, opera, film, and spectacle events, and has had work produced in Canada, the U.S., and as part of the Prague Quadrennial. Her workshop approach is tactile and experiential, responding to the ideas and themes at hand to explore many different forms and create objects, immersive environments, and art-making initiatives for participants to shape and to which they contribute. Her designs and workshops blend forms and materials, and move towards the questions and stories that lie below the surface. Past collaborations have included working with the Bicycle Opera Project, urbanvessel, and Jumblies Theatre, as well as Making Room Community Arts, MABELLEarts, and the Community Arts Guild. Her work with these companies has encompassed set and costume design; puppet, projection, and mask work; illustration and sculpture; and the creation of short narrative films. Sonja has an MFA in Theatrical Design from the University of Texas at Austin, a BFA specialization in Design for the Theatre from Concordia University, and has most recently studied at the Manitoulin Conservatory for Creation and Performance. 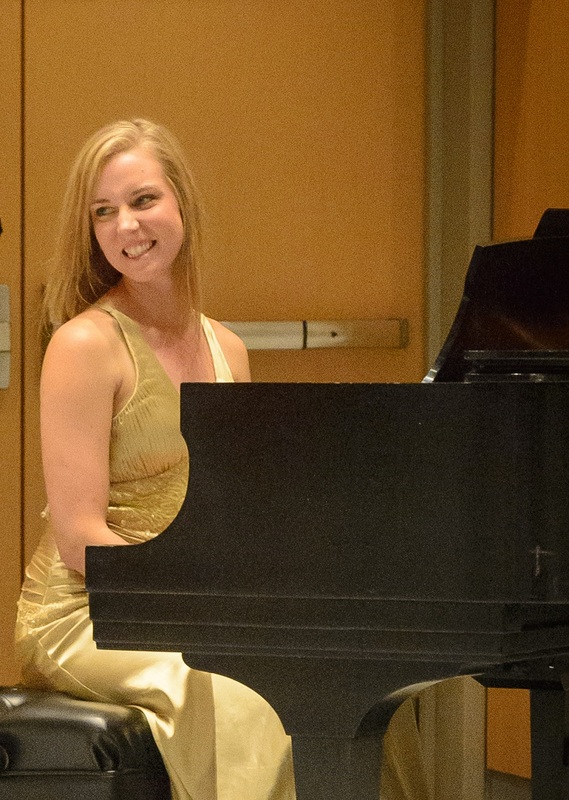 Christina Faye received her bachelor of music from Brandon University in 2007 and her master of music from the Eastman School of Music in 2009. She is an in-demand pianist and coach in Toronto, is currently the Music Director at Donway Covenant United Church, and accompanist for the Canadian Men's Chorus. Christina has an ongoing concert series with soprano Adria McCulloch, regularly performs with members of The Vocalway Studio, and recently launched a new two-woman opera comedy show Millan & Faye Presents: The Opera with coloratura soprano Kyra Millan. Soprano Kyra Millan is happiest creating quirky shows that allow her to blend education and performance, as her unique career has been a balance of both. An opera comedienne, she embarks this year on her first Ontario tour of her original show Millan & Faye Present: The Opera, with her music partner Christina Faye. After three popular appearances in the Canadian Opera Company’s Free Concert Series, the duo kicked off their tour at the Four Seasons Centre in March 2016. Other recent performances include headlining Harbourfront’s Voice and Strings Festival in 2014, and a surprise appearance for the TSO’s Pianos in the City earlier this year. In winter 2013, Kyra created her first full-length show, Christmas with Hi and Lo, in collaboration with Canadian jazz icon John Alcorn, and performed to sold-out audiences. 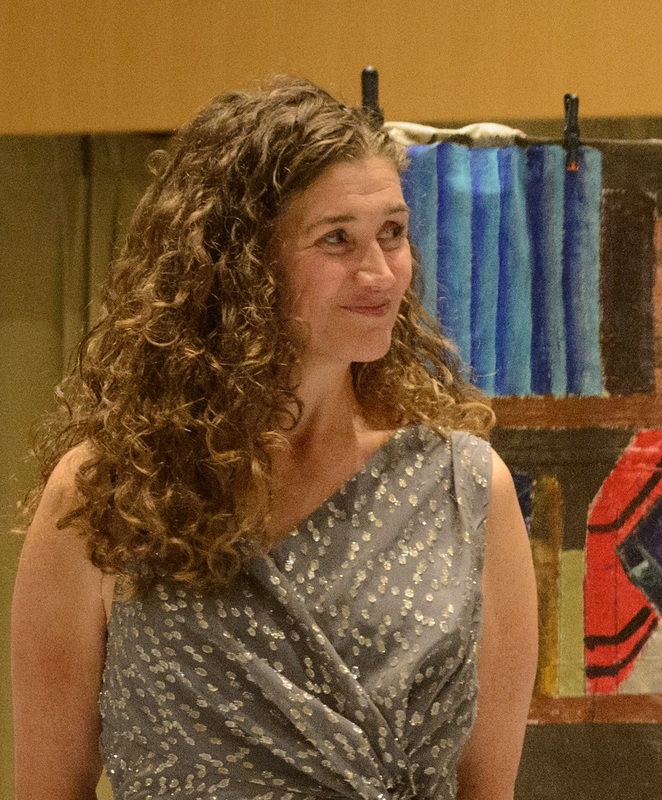 Kyra’s work in arts education began 18 years ago, facilitating opera workshops for the COC, as well as acting as musical director of their Summer Youth Intensive program, and many summer camps. Since then, she has worked in over 200 schools, teaching workshops as a guest artist educator on behalf of the Royal Conservatory of Music, Opera Atelier, and the COC. Other arts organizations for which Kyra has led workshops and training programs include: Workman Arts (CAMH), Abilities Arts, Soundstreams Canada, Kiwanis Music Festival, and TIFF. Kyra coaches aspiring singers and professionals in her private studio in Toronto, and she also brings her voice coaching to professional productions in Canada for companies such as Canadian Stage, Stage West, Young People’s Theatre, National Arts Centre, as well as for international touring productions. 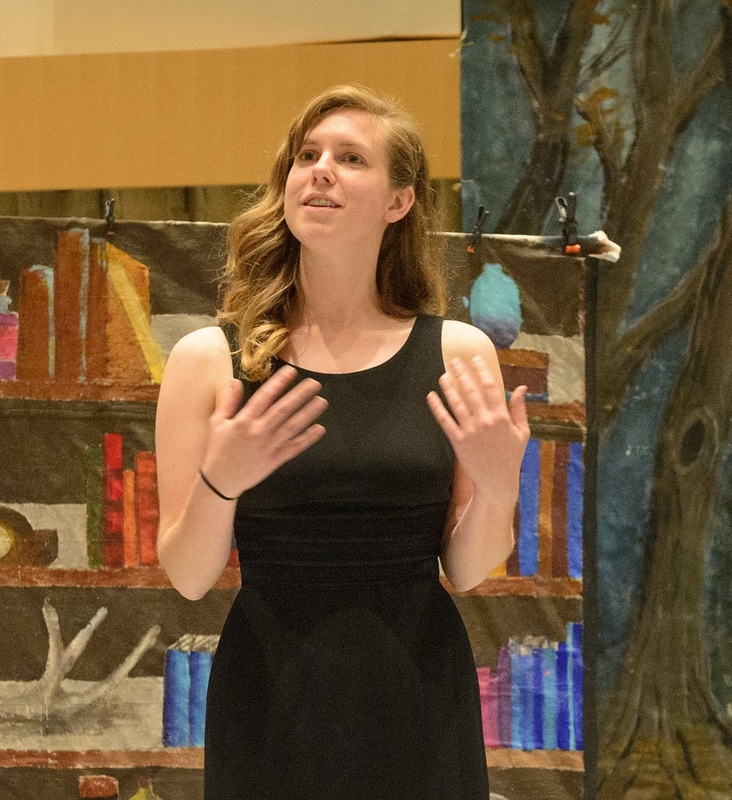 Creating with young people is particularly exciting for Kyra, and one of her favourite projects is GLEESICAL—which she created six years ago, and directs—a year-long program where young people create, write, compose, build, design and perform their own musical. Kyra lives in Toronto with her family. Catherine Hume is an artist-educator specializing in drama education, dramaturgy, and direction. She has received two Toronto Arts Council grants, one for Music Creation and a second for Emerging Playwright, and is currently working on a screenplay and the book, lyrics, and music for a musical. Catherine recently completed a directing course at Tarragon Theatre with Richard Rose, attended a musical theatre creation workshop featuring composer and lyricist Stephen Schwartz (Wicked), and in 2014 added Part 1 of the Drama Specialist designation to her Bachelor of Education. Career highlights include a season as rep company member at the 4th Line Theatre in Millbrook and directorial/tech contributions to writer/performer Alison Wearing’s award-winning solo show Confessions of a Fairy’s Daughter. Catherine was the assistant director of Willy Wonka at a Toronto elementary school two years ago and in 2016 directed and choreographed Peter Pan Jr. involving two full casts totaling over 100 kids. Also in 2016 she joined the Gleesical program at the Classical Music Conservatory as dramaturg/director for the senior show. What happens if I need to cancel my child’s registration? Is there a refund? We realize that plans may change, and therefore we believe we’ve developed a fair refund policy to provide you some flexibility. If you cancel your child’s registration on or before April 30, 2018, you are entitled to a full refund. Any registrations cancelled between May 1, 2018 and June 25, 2018 will be partially refunded (less a 25% administration fee). No refunds will be given after the program registration deadline date of June 25, 2018. Last minute withdrawals supported by a medical note must be made by the business day prior to the program start date for a refund less a 25% administrative fee. No refunds, partial or full, will be accorded to participants who decide to withdraw after the start of the program. Camp takes place at the Four Seasons Centre for the Performing Arts, which is located at 145 Queen Street West. The program room entrance is east of the Box Office located on the South East corner of Queen Street West and University Avenue. For more information on how to get to the Four Seasons Centre for the Performing Arts visit the map and directions page on our website. When can I drop my child off and pick my child up? On Mondays (Tuesday for Little Company), campers can be dropped off beginning at 8:30 a.m. For the remainder of the week (Wednesday to Friday for Little Company, Tuesday to Friday for Junior and Intermediate Companies, Tuesday to Saturday for Senior Company), campers can be dropped off beginning at 8:45 a.m. The program begins at 9 a.m.
Extended care allows Little and Junior Company campers to be picked up later (additional fee of $30/week for Little Company or $40/week for Junior Company). Extended care is supervised by staff and lightly programmed. Campers registered for extended care must be picked up by 5 p.m. There is no extended care for Intermediate and Senior Company campers. Yes. Visit coc.ca/Bursaries for information on applying for financial assistance. The deadline to apply is Friday, April 20, 2018. Can applicants participate in a camp for which they fall outside the age/grade level indicated? All camps are specifically designed to provide the best possible experience for the age groups indicated. No exceptions will be made for applicants who are not available for their age group’s camp. This applies to all ages. However, for the Senior Company, youth who are graduating from grade 12 may sign up (in addition to youth entering grades 9 to 12). No. Lunch is not provided. Please send your child to camp with a nut-free lunch, snacks, and a refillable water bottle. Though the COC cannot guarantee a nut-free environment, we request that participants refrain from bringing food items that contain nut ingredients (eg. peanut butter sandwiches, peanut oil, etc.) to the program. Clothing must be appropriate for active fun! Campers will be involved in drama and movement sessions which require them to have a wide range of movement. Campers will also participate in arts and craft activities. Spills are inevitable and may not wash out completely. Clothing should be chosen accordingly. Please refrain from sending your child to camp in sandals for safety reasons. My child has an allergy. Who should I inform? A link to a mandatory online health and medical safety form will be sent to the e-mail provided in your registration. Camp is led by an artistic team including a composer, a drama and movement specialist, a designer, and one or more assistants and volunteers. The Intermediate and Senior Company staff also includes a vocal specialist and an accompanist. Stay tuned for biographies of the artistic team. What will my child do in camp? Your child will explore composing, singing, story creation, acting, movement, and the visual arts, while having fun meeting new friends with similar interests. 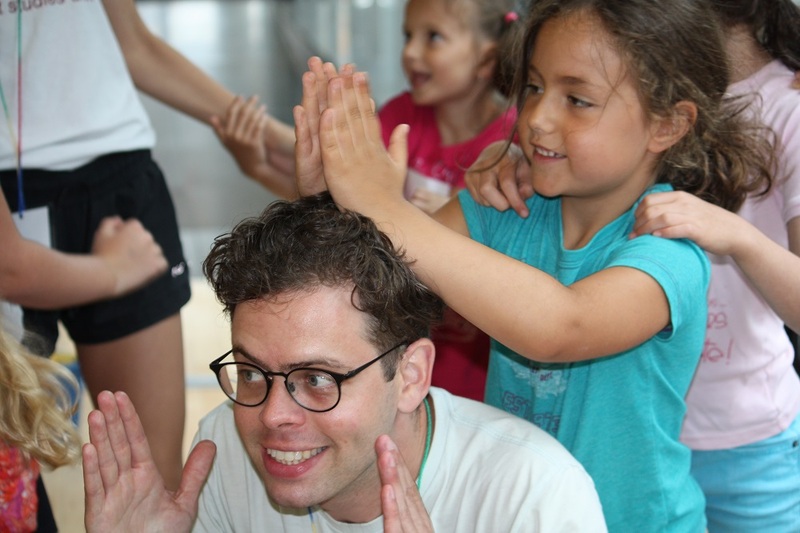 Working with an existing story as a starting point, Little, Junior, and Intermediate Company participants will write and compose their own opera with help from professional artist-educators. Senior Company participants will create a story for their opera from scratch. Next they’ll choose a role and begin staging and rehearsing their opera, as well as designing and creating costumes, props, and/or a set for their opera. Campers will present a special rehearsal of their creation to family and friends on the last day of camp. Activities are always adjusted according to the abilities and interests of the age group. The Canadian Opera Company (COC) is dedicated to providing professional, creative and accessible opera programs to all individuals regardless of their age, gender and cultural and economic backgrounds. The COC seeks to minimize barriers, such as program fees, to participation in COC education and outreach programs. A bursary is a monetary grant awarded on the need for financial assistance. There are a limited amount of bursary funds available to individuals who demonstrate a strong desire and commitment to engage in COC programs but for whom cost prohibits their participation. Applications for bursaries for the COC's 2018 Summer Opera Camp program are currently unavailable. Click here to sign up for a registration reminder e-mail. Due to the required application components, we cannot accept bursary applications by e-mail. The deadline to apply is April 20, 2018. Please refer to the application form or contact [email protected] for more information. He asked for an art, music or drama camp and got three-in-one with this camp and a lot more. Staff are wonderful, creative, kind and patient. Kids were enthusiastic. I loved how the children were encouraged to be creative, and the building of confidence. Children were given an opportunity to learn through play. The performance was exceptional! I am so impressed by the quality of the production, by the kids’ wonderful performance, set design, costumes, music etc. So professional! I can’t believe this all happened in one week! It inspired my daughter to sing and be creative. When the participants sang as a group it was breathtaking. Three daughters- so many camps have been attended. This is the top of the list. Well done- Thank you for building confidence, nurturing love of opera. Thank you. I was blown away by how passionate the performers and staff were. The best part of camp was everything. It was super fun, exciting, interesting, and educational (about music and putting on an opera). Everyone working here is extremely talented in what they do. It was a great opportunity and a great experience. It was super duper fun to perform and learn lots, not just from the teachers here, but from each other. Thank you, Opera Camp! I like how welcoming it is. I loved writing our own script and learning new skills. It was so much fun and had so much of what I like to do (sing, act, design and compose songs). I learned that it’s possible to find people of my age who have the same interests as me. This camp helped me gain the confidence to move around on stage properly. Everything we do in this camp I love, like the teachers - they are nice and help us a lot. When I leave camp I miss it and want it to start again. I loved the collaborative work of performing and composing/creating, as well as all of the fun exercises and games along the way. Really didn’t have a favorite part because everything was amazing.